The Herrenweg vineyard enjoys early ripening conditions. Despite the valley floor location, this vineyard is located in a warm micro climate, detached from the shadow of the Vosges Mountains, and therefore benefits from longer sunshine hours. The gravely soil is capable of draining water as well as a steep hillside. The above normal rainfalls of July and August 2007 didn’t in fact create too many problems, except the fact that it is always more complicated to access and work in vineyards after heavy rains. Only important rainfalls just before harvest could affect this type of vineyard, which would then show their limitation compared to Grand Cru sites. 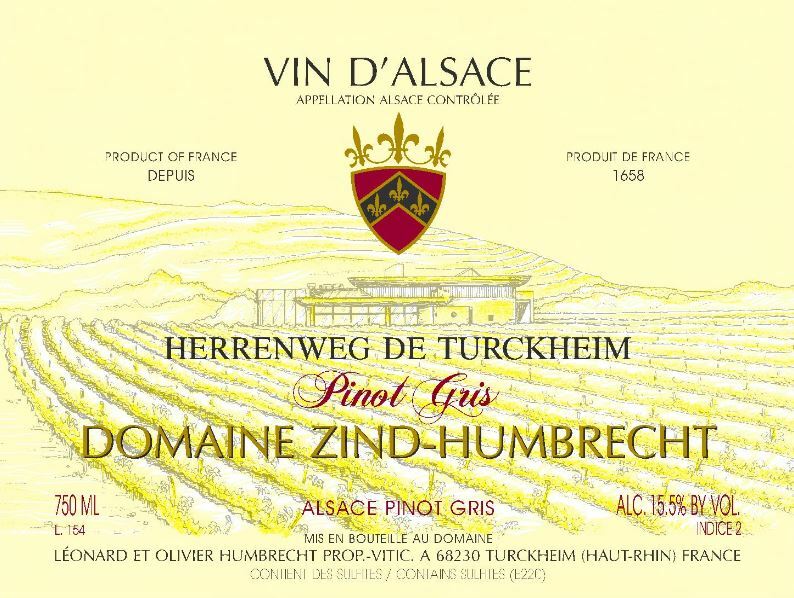 In 2007, the weather was very dry just before and during harvest, allowing the Pinot Gris in this type of vineyard to fully ripen, develop some noble rot but also to keep a vivid acidity. The grapes were harvested at near late harvest style ripeness, despite a very early picking date, so it was impossible to see this wine finishing dry! 12/2008: the nose is an explosion of ripe exotic fruits, mangos, passion fruits, mixed with some more classic Pinot Gris nutty, and toasted flavours. The palate shows ripeness, but also elegance. The sweetness is almost more obvious on the nose than on the palate, thanks to some great acidity presence, especially on the finish. Like most Herrenweg wines, it is already very enjoyable and showing most of its potential today.